I got some time on the water yesterday. 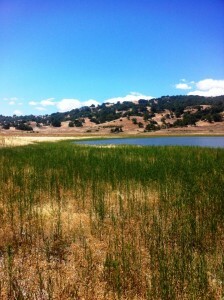 Headed off for my first trip this year to a little reservoir south of San Jose in search of carp. I didn’t find a carp… not to cast to, anyway. 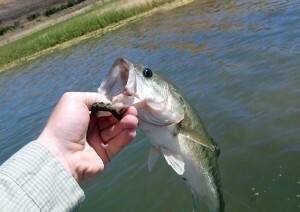 I did manage to get a bass and a crappie to hand though. I did see some carp breaching, but they were too far away to get a cast to. The water clarity was poor and the water was lower than I’d ever seen it before. This was not a big winter her in CA and it shows. 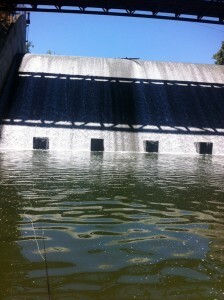 After that I went to fish down below a little dam where I know there are some monster carp. There is a foot bridge going over this little bit of water and you can stand there and watch the carp come up from the depths and roll and then fade. I’ve never hooked a fish here and I can say today that I’ve still have never hooked a fish there. Those arseholes. Honestly… they are bugging me. I know they are there… but I can’t get them to eat. I KNOW they are there. They make me kind of mad with their whole “not eating my flies” thing. Off to the little creek I’ve fished several times in search of little trout. Before I went up to the hills I stopped by Burger King (I almost never eat fast food) and I got one of the new Memphis Pulled Pork Sandwiches. I add this detail here because I will feel like I’ve done something if I can keep someone out there from eating one of these truly hideous packages of crap. Don’t do it. As I drove along the creek my heart sank. There was almost no water in it. I didn’t even get out of the car. I have no idea how the little fish will survive this and I don’t think they will. It isn’t even August yet. Such is urban fly fishing down in the South Bay. Hope you had more luck than I did last weekend! Bass… but I bet you knew that already. 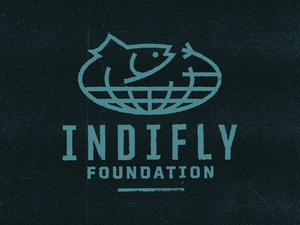 This entry was posted on Monday, June 25th, 2012 at 1:25 am	and is filed under Fish Tails. You can follow any comments to this entry through the RSS 2.0 feed. You can leave a comment, or trackback from your own site. Last week end I was fishing in Hawaii with Coach Duff , what a great time I had . Not only is he a great guide and a great bloke to fish with the amount of huge bones over there is amazing ! the first afternoon we fished saw at least 20 bones and half of them where overe 12 lbs ! for the next 3 days I was blown away by the amount of bones I saw and some monsters that were mixed in ! the man is a champion !